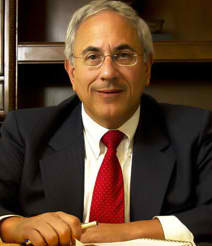 Donald Scarinci is the founding partner of Scarinci Hollenbeck, LLc. His practice focuses on Municipal Law, School Law, Litigation, Sports & Entertainment Law, Litigation and Health Care Law. Over the years, Donald has achieved a high level of recognition for his work with public entities throught the entire State of New Jersey. He has worked with some of the largest municipalities in the state and for 16 years simultaneously represented two of the twenty largest municipalities in the state as their general counsel. Donald Scarinci was born in Jersey City, NJ in 1956. His book, “David Brearley and the Making of the United States Constitution” received favorable academic reviews when it was published in 2005. The book was the first and only biography ever written about this important, but under-celebrated participant at the Constitutional Convention of 1787. Brearley was later appointed by President George Washington to become the first federal district court judge for the District of New Jersey. Scarinci’s recent book, “Redistricting and the Politics of Reform,” was published in 2010. It has been used as a primer on redistricting in at least a dozen states, where the decennial redistricting process is performed by appointed commissions. Donald’s writing blends his academic training at New York University where he received an MA in English Language and Literature, with his legal training and experience. 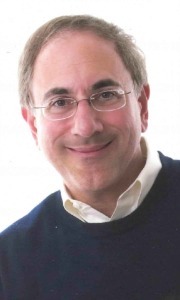 In addition to his work as a writer and a lawyer, Donald is a numismatic scholar who lectures on coin and art medal design. He was appointed by the Secretary of the Treasury of the United States to serve as a member of the Citizens Coinage Advisory Committee, which is required by law to review and recommend designs for all coins and medals issued by the United States Mint.